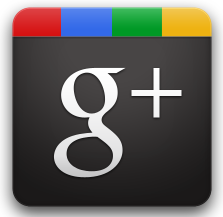 Google Plus (called Google+ for short) is an emerging social network site developed by global technology giant Google. Google currently operates the world’s most popular (and arguably most powerful) search engine. Therefore, maintaining high page rankings in the Google search engine is a crucial element in getting your site seen by as large an audience as possible. Although Google Plus is not as popular as some other social networking sites such as Facebook and Twitter, its tight integration with the search engine itself means that your performance on one is inextricably linked to your performance on the other. The longer Google Plus is online, the more users it is likely to attract. In addition, the more likely it is to become a deciding factor in how pages are ranked in the Google search results. It is even possible that optimization using Google Plus could improve your rankings on other, competing search engines. How can Google+ help my search engine rankings? Because Google is the most influential and popular search engine in existance today, it only makes sense that improving your site’s performance in its results would relate to your participation in Google’s newest social networking endeavor. As Google Plus grows in popularity and size, it is very likely that page ranks will become increasingly dependent on how interlinked content is with the social network itself. How exactly do I perform SEO with Google Plus? Try to get as many followers as you can. This will improve your “popularity” on Google Plus and may also improve your page ranking in the process. Make sure your web pages all have a Google Plus “+1” button them. This will make it easier for people to follow you. Put a link to your sites in your Google profile. This has been shown to substantially increase page ranking in people who are following that account on Google Plus. (This is part of why it’s so important to have as many followers as you can. Share your Google Plus information on other social networks to take advantage of your existing contacts. Services like Facebook, Twitter, LinkedIn and Tumblr are ideal. You can use this approach to get substantially more Google Plus followers. Make sure your Google Plus profile is linked from every page you want to improve the search ranking of. When you make a post somewhere on the Internet, include a link to your Google Plus profile to maximize exposure. If you see your work on another web site, for example, something you have written, claim yourself as the author of that content. Try to get as many people as possible to “+1” your content. The number of times this has happened will be displayed in the search results and may even improve their rank. Add a Google Plus badge or a snippet of code to directly link your web pages to your Google Plus profile. James is a technology author for the site Make-A-Web-Site.com. He specializes in such topics as the Internet, Pay-Per-Click Advertising, Search Engine Optimization technologies and WordPress-based site hosting.